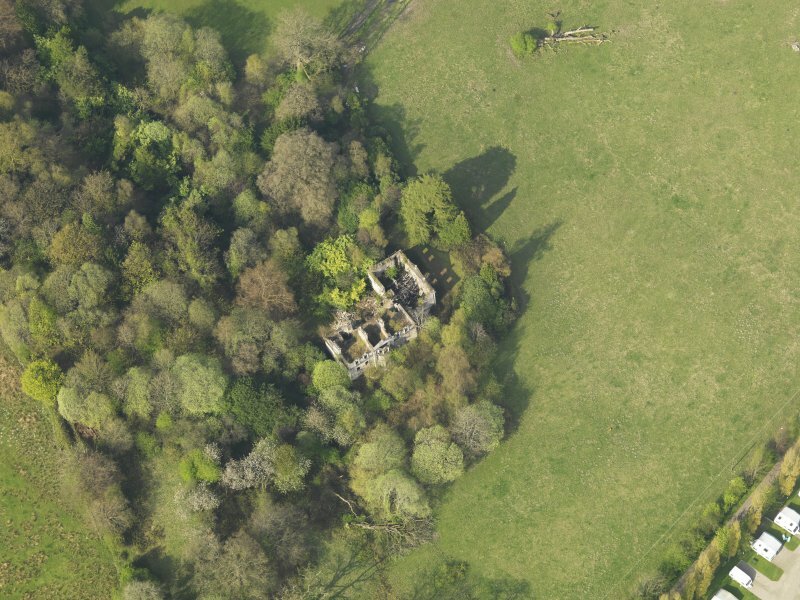 Oblique aerial view centred on the remains of the country house, taken from the WSW. 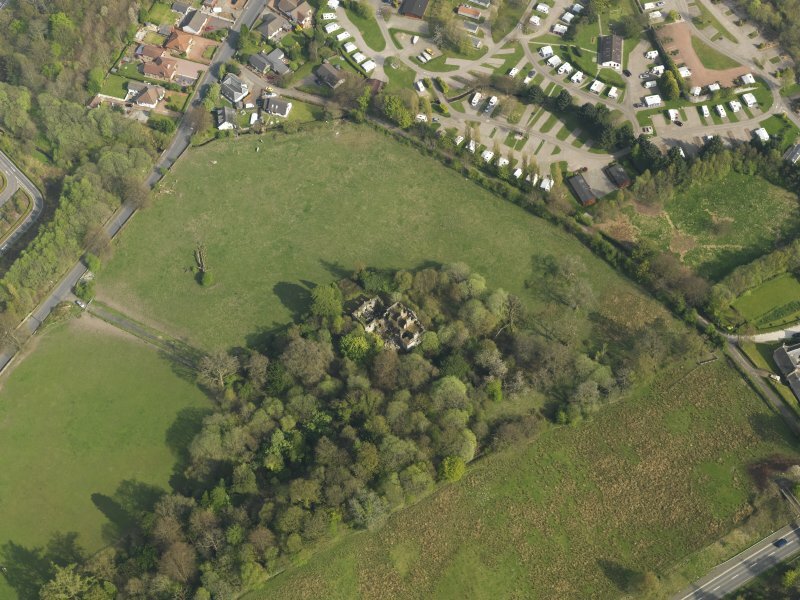 Oblique aerial view centred on the remains of the country house, taken from the NNW. 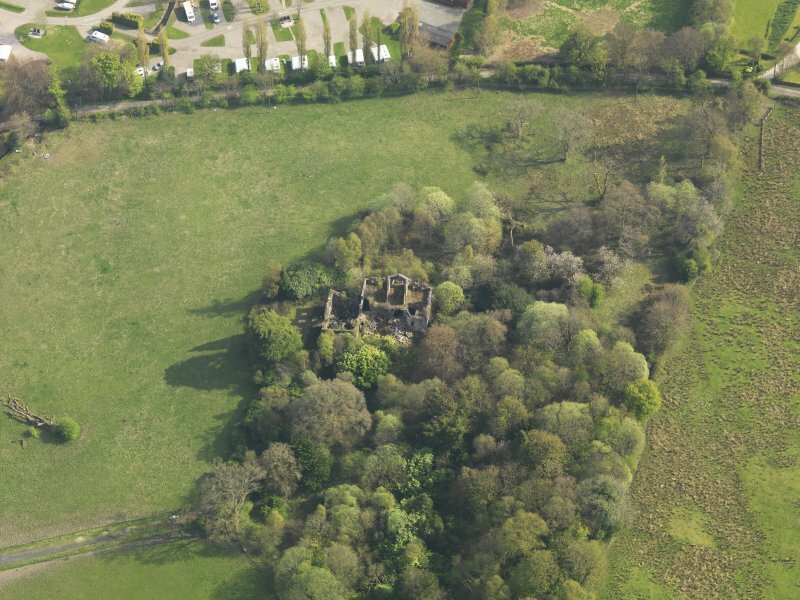 Oblique aerial view centred on the remains of the Country House, taken from the SSW. 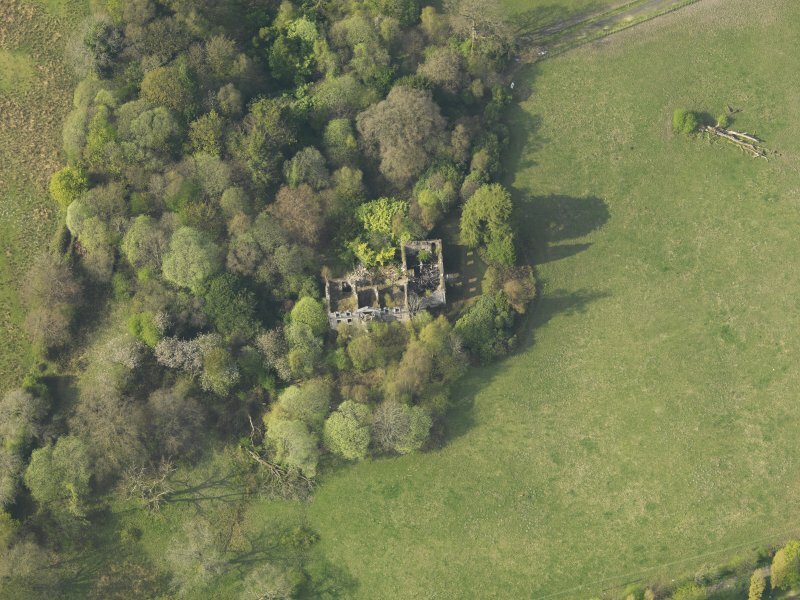 Oblique aerial view centred on the remains of the country house, taken from the SSE. 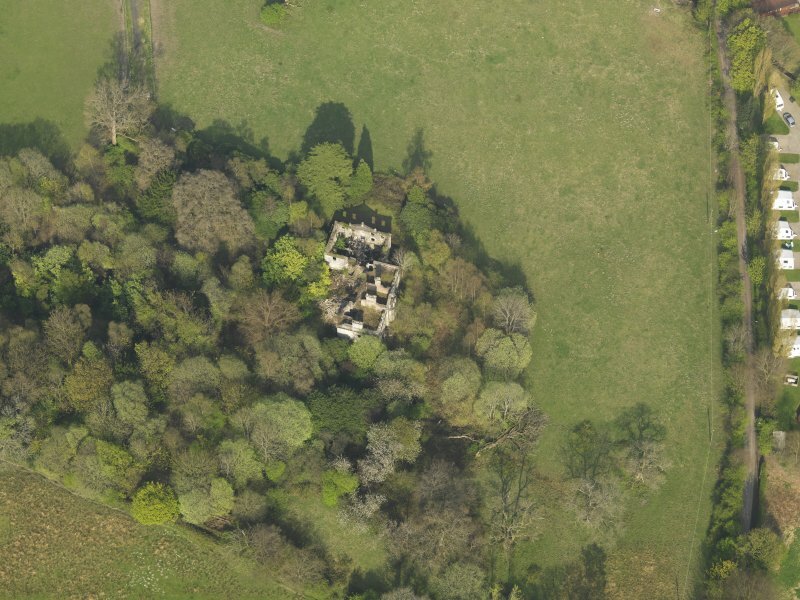 Oblique aerial view centred on the remains of the Country House, taken from the SW.
Oblique aerial view centred on the remains of the country house, taken from the SE. 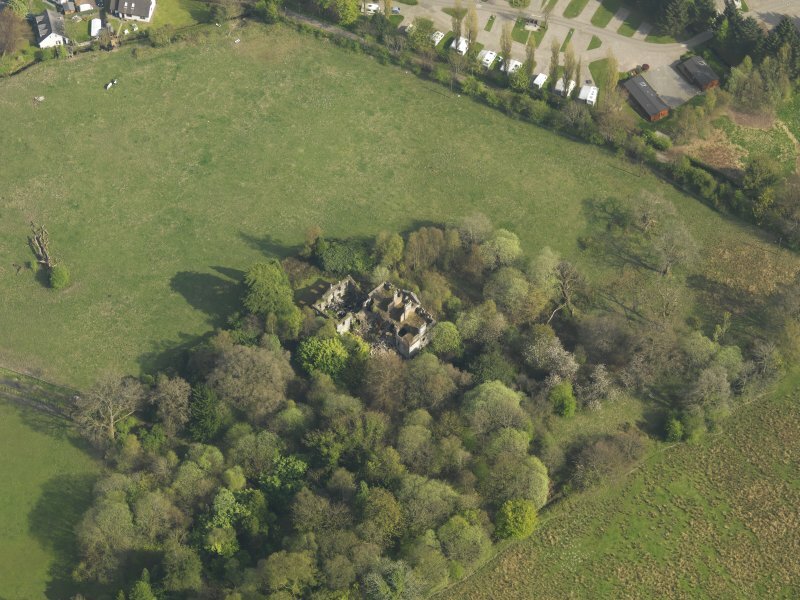 Oblique aerial view centred on the remains of the Country House, taken from the NW. 2-storey over basement, 5-bay, rectangular-plan main block; with large 3-storey, 5-bay later 19th century addition at right angles to S. Stucco over rubble; raised ashlar margins; rusticated quoins; eaves cornice. 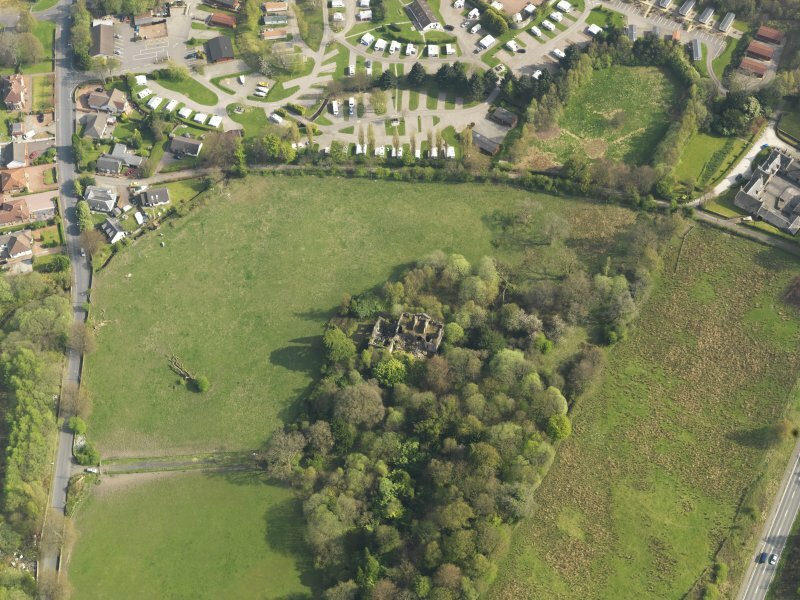 The land was settled on James Lindsay and his wife Sarah Brisbane Lindsay in 1670, and a house stood on the site at this time. 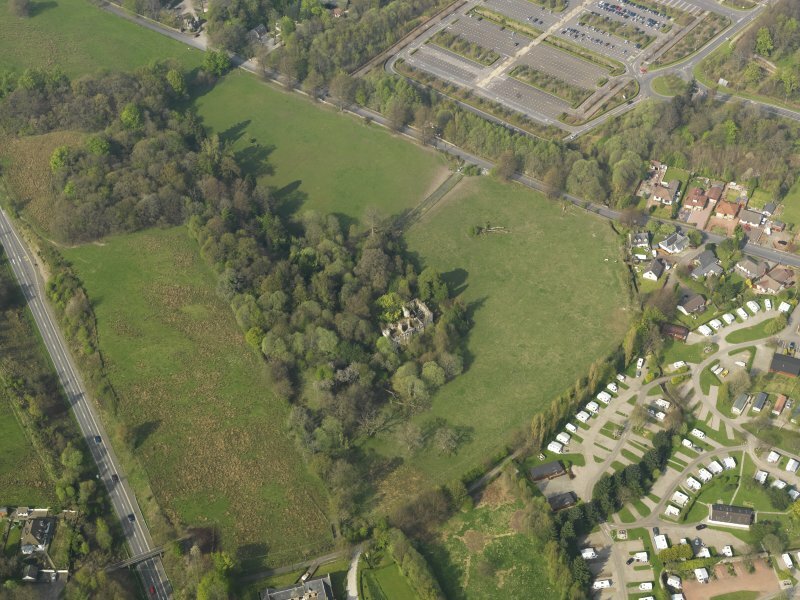 The property was called Stuckrodger at this time. 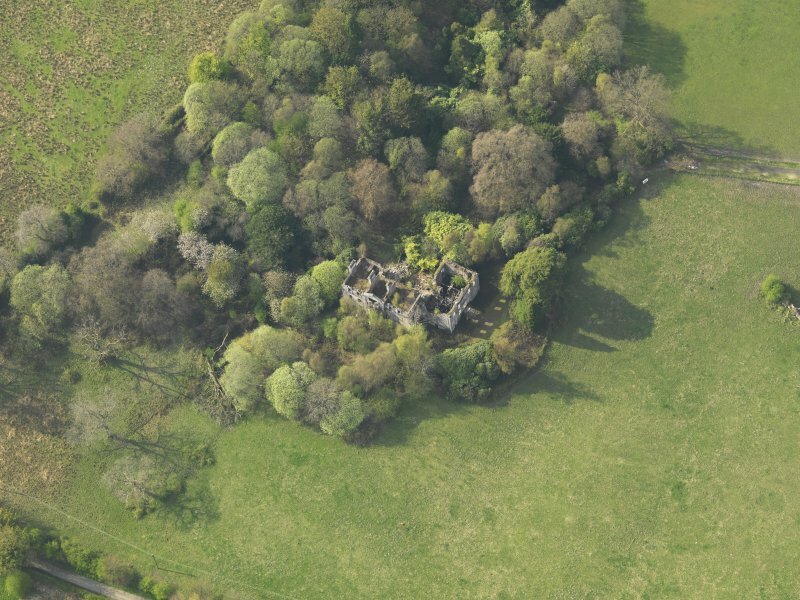 In 1774 Stuckrodger was acquired by Charles Scott of Dalquhurn, a Glasgow merchant and it appears that the house as it now appears dates from this time. 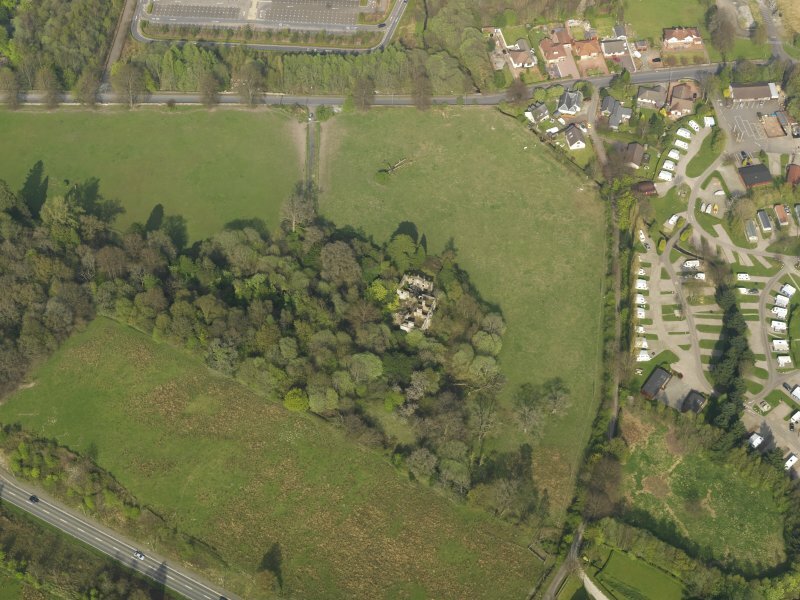 The house name was changed to Woodbank.